When the Norwegian mathematician Sophus Lie died in 1899 he was a bitter and disappointed man. 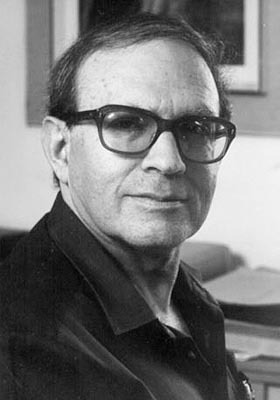 True, his mathematical ability had been recognised by some of the greatest people in the field, including the great German mathematician Felix Klein, and Lie had succeeded Klein in the chair of mathematics at Leipzig. But those who understood the true significance of his work and its potential for physics were very few; and indeed after only two years in the post he resigned and went back to Norway and suffered a mental breakdown. 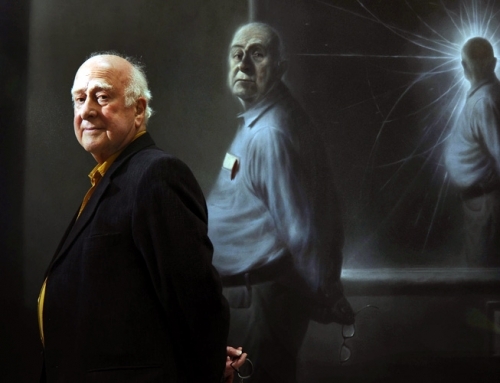 His physical health declined as well, and his last years were dark brooding ones, frustrated by his inability to find people who could recognise the significance of his work. But sixty years after his death the theory he created was established at the very heart of physics. 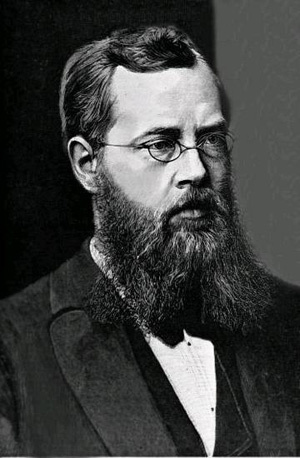 Sophus Lie developed a theory of symmetry which today is one of the most powerful tools of physics – the theory of a structure called a continuous group. A group is a collection of operations. If there are a fixed number of them, it is called a finite group, and if there are so many that they run together like the distances on a line, they are called a continuous group – or nowadays a Lie group. Anyone who has been in the Boys Brigade will be familiar with a finite group of operations – four operations, in fact. The commands Left Turn/Right Turn/About Turn form a group, provided that you also invent a further command Stay as You Are. What gives these four operations the structure of the group is the fact that if we combine any two of them, one after the other, the effect is the same as some other member of the group. This property of closure is one of the features that characterise a group. That is a finite group – with just four members. We can go on to a much bigger continuous group by extending the possible turns to any number of degrees. This group will contain not only the 90-degree or 180-degree turns that we had originally, but turns through 31.62587 degrees, or 0.0000001 degrees – of whatever number we care to think of. This new group is built up out of one basic operation – an infinitesimally small turn, since by putting together the appropriate number of copies of this very small term, we can build up to any amount of turning that we please. What we now have is a continuous group, a Lie group, with every member in it generated by the infinitesimal turn. One of the most powerful uses of the group concept is in the study of symmetry. One way to express the symmetry of a geometrical figure like a square is to observe it remains the same under those four parade-ground turns that we spoke of just now. The study of the symmetry of the square involves identifying the group of operations that keep it unaltered. We say that the square has a very simple type of rotational symmetry. There are four rotations which leaves the layout unaltered. These are through 90 degrees, 180 degrees, 270 degrees, or 360 degrees. A circle has a much higher form of rotational symmetry. We can express it in terms of the Lie group of rotations that we have now encountered – with the whole lot of them leaving the shape unaltered. And we can go on to look at the symmetry of shapes like a sphere or a cylinder and in each case find the appropriate Lie group. 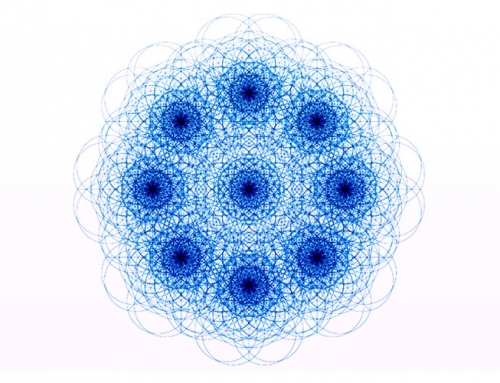 Thus the language of the mathematical group applies to geometrical shapes – and it also can be applied to any form of data that looks to have a pattern. The concept of a group involves the categorising of the form of symmetry found in data. And this leads to the power of this thinking when applied to the world of elementary particles. 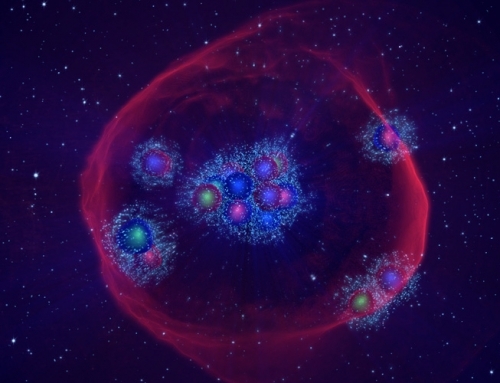 When people first looked for elementary particles, they found just a very few – ones familiar to us today, such as the proton, the neutron, which between them form the core of an atom, its nucleus, and the electron, which swirls in a cloud around the nucleus to form an atom. But as time went on and particle-detectors became more sophisticated, the number grew of particles, and now there are several hundred. Quite a lot of them might hardly seem to deserve the name ‘particle’, since they twinkle in and out of existence in a micro-fraction of a second. But to the researchers they still count, and they have been carefully analysed and recorded. The particles are categorised by numbers, specifying aspects such as their electric charge and various other features. And when the particles are all set out in array, according to the various numbers, patterns start to emerge. The situation is rather like what happened in chemistry in the 19th century, when the Russian chemist Dmitri Mendeleev studied the properties of the various chemical elements. It was clear that there were patterns, with some being metals, some being very reactive gases, some being very unreactive gases, and so on. And within each group there were gradations of verious properties. Eventually he set them out in a table. In the form we use it today, eaxch column stands for a different type of element, with the lightest ones at the top and the heaviest at the bottom. The only snag was that there were gaps in the table. Could they be weakness in the theory? 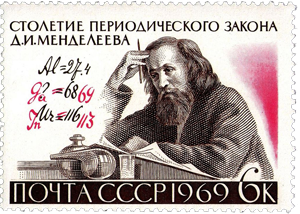 No, said Mendeleev, the gaps stood for elements that have not yet been discovered. The challenge for the experimenters was to find them, and Mendeleev used the table to predict the properties of the missing elements. In the diagram above, the column on the far right contains very reactive gases – F fluorine at the top, then Cl chlorine, Br bromine, and I iodine (actually solid crystals but only just, vapourising with the heat of your hand). All four were known in Mendeleev’s time, so he could list them, the lightest at the top. But if we look three columns to the left of this, there is a gap. In the column headed by C carbon, with Si silicon below it, the next space down is empty. Nothing was known in Mendeleev’s time that could fit. But based on the pattern going from carbon and silicon above to indium and tellurium below, he could predict the properties of the missing element. Look, he said, for something with similarities to silicon. Some thing with a mass of 70 units, a density of 5.5 units, a high melting point – and grey in colour. That was in 1869. Seventeen years later the German chemist Clemens Winkler studied a new mineral from a silver mine and found that when he removed the silver and sulphur from it there was a substance left, which he purified – and discovered germanium, element number 32. Its mass is 72.6, its density 5.35, its melting point 947 degrees – its colour is grey. Almost a century on from Mendeleev, particle physicists faced a similar type of problem. They had a proliferation of ‘elementary’ particles, as diverse as the animals in a zoo, and the challenge was to find a way to classify them. And that is when they started to discover the work of Sophus Lie. There are four different types of forces at the particle level. The strong interaction is a powerful attraction operating only at very short range, holding the protons and neutrons in a nucleus of an atom together (otherwise the mutual positive charge of the protons would force themselves apart). The weak interaction, again very short-range, is involved when particles decay, as in radioactivity. 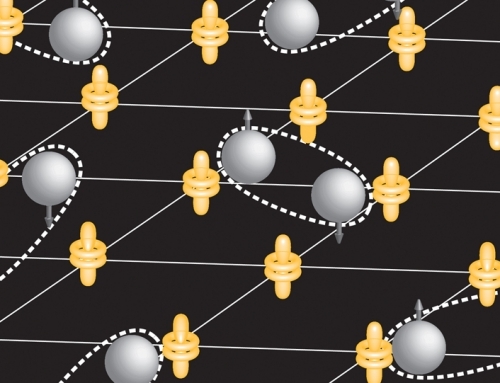 Thirdly, there is a force more familiar to us – electromagnetism. Fourthly, another familiar force, gravitation, is at the particle level incredibly weak, 100 million billion billion times weaker than the weak interaction. 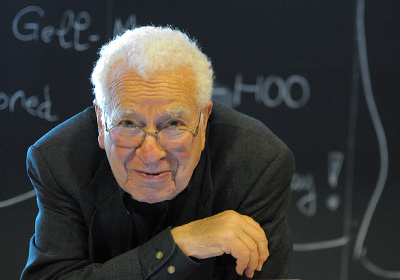 For the strongly-interacting particles (they are called hadrons), the breakthrough was made by Murray Gell-Mann and Yuval Ne’eman. 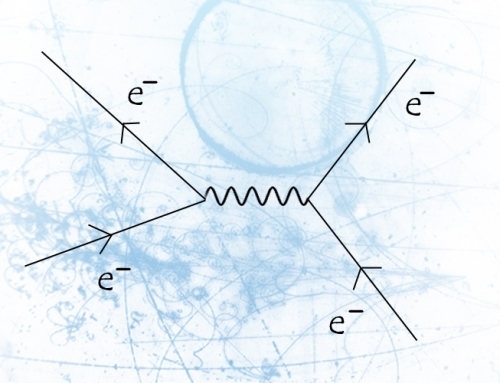 They found the hadrons fell into patterns of eights and tens in the pattern of one of Lie’s groups, known as SU(3). Gell-Mann called the approach which led to the octet the Eightfold Way, echoing the Noble Eightfold Path of Buddhism. 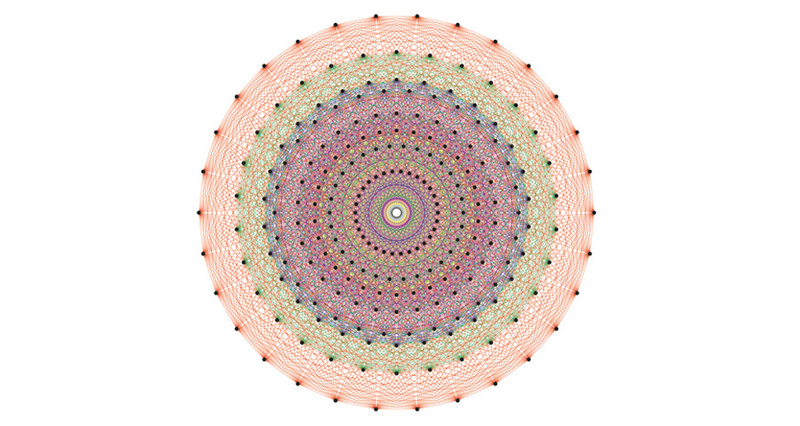 In one of the patterns of ten, Gell-Mann and Ne’eman could fit nine known particles into place in a diagram. Based on the details of the nine, they predicted the properties of the missing particle that should sit at the pattern’s apex. They knew what its mass should be, along with its charge, and several other key features, and Gell-Mann christened it the omega-minus – with the Greek symbol Ω–. The experimenters took up the challenge, and in 1964 a team at the Brookhaven National Laboratory found the predicted particle. Both Gell-Mann and Ne’eman made a series of other contributions to physics, and each of them had other interests. Gell-Mann, now in his 80s, is an avid birdwatcher, a collector of antiquities, and a keen linguist, who has established a big research project on the evolution of human languages. Ne’eman, who died some years ago, was a soldier from the age of 15, becoming a brigade commander in the Israeli army. He was a founder of a right-wing breakaway party opposed to peace with Egypt, and for a short time a minister in a coalition government. Gell-Mann and Ne’eman’s use of Lie groups to predict the omega-minus was the vindication of the life’s work of Sophus Lie, who believed that the principles of physics have their origin in group theory. The power of the tools he gave physics was also applied to the weak interactions.